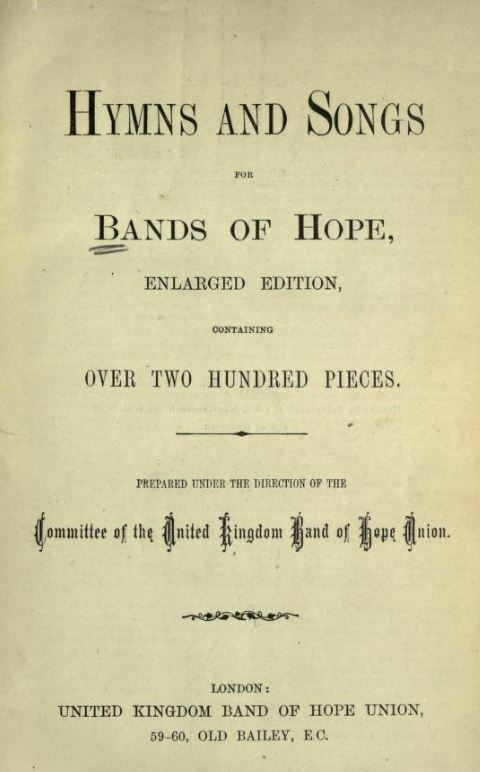 My mother lived in a childrens home, 1928-1938, and were often visited by a Band of Hope. 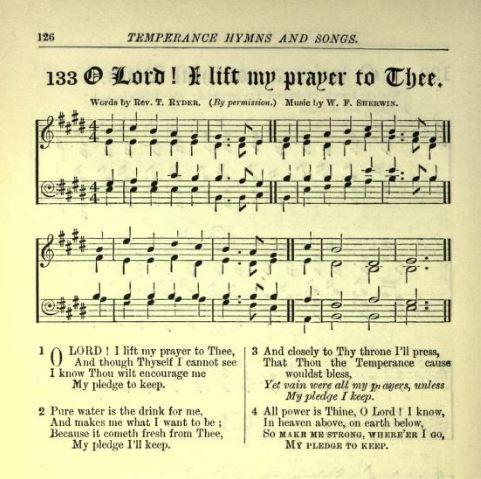 One of the songs which my mum remembers had the following words: Pure water is the drink for me’. 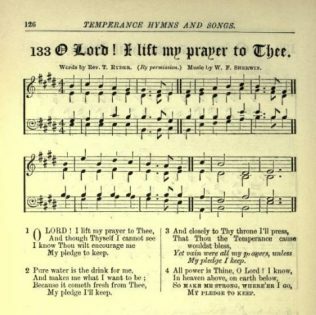 I am hoping that someone may know of this song and can send me the words and – even more exciting – perhaps there is a version on youtube. Here’s one possibility Katy. 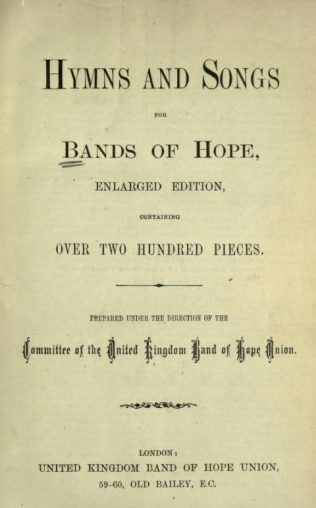 There was a hymn book called “Hymns and songs for Bands of Hope” published by the Band of Hope Union and hymn number 133 is “O Lord I lift my prayer to Thee”. Verse number 2 begins “Pure water is the drink for me”. It includes the tune too.